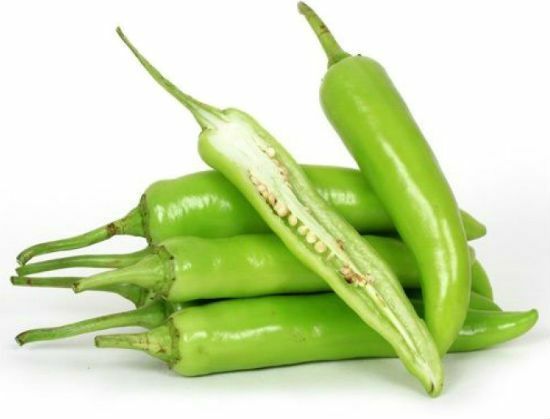 While these green chillies are popularly used to make Milagai Bajjis, they can also be used for various other dishes. This gravy/masala makes for a great side dish with roti or chapati. 1. Bring a pan of water to boil over medium flame. 2. Add the bajji milagais and switch off flame. 3. When the chillies are tender and soft, drain well and cut them into small pieces. Discard the seeds. 4. Heat 1 tsp oil in a pan over medium flame. 5. Add the cumin seeds, onions, green chillies, garlic, tomatoes and coriander leaves. 7. Remove and grind to a fine, smooth paste. 8. Heat the remaining oil in a pan over medium flame. 9. Add the mustard seeds and urad dal. Fry for 30 seconds. 10. Add the ground paste and the chopped chillies. 11. Sprinkle a little water and stir well. 13. Remove and serve as a side dish for chapati or roti. Feel free to comment or share your thoughts on this Bajji Milagai Masala Recipe from Awesome Cuisine.